7th Rangers: Jihadi Jack claims he’s still being tortured in Kurdish prison – so why won’t Britain fly him home to face justice? Jihadi Jack claims he’s still being tortured in Kurdish prison – so why won’t Britain fly him home to face justice? BCF : The Mail on Sunday has forced the Kurdish militia holding Jack Letts, the middle-class Muslim convert from Oxford, to prove he is alive – only for him to claim he has been tortured and denied treatment for a kidney disease that could kill him. 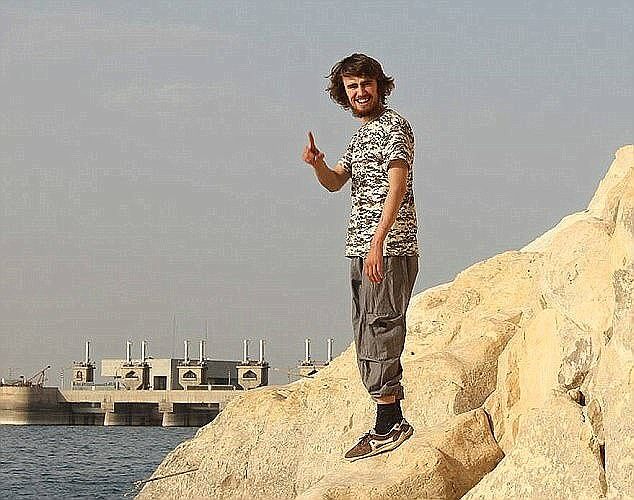 In a harrowing phone conversation, Letts, 22, known as ‘Jihadi Jack’, said he had tried to kill himself because conditions in the Syrian jail where he is held by the Kurdish PYD are so bad. However, The Foreign Office has repeatedly refused to help him. Letts, who has a history of mental illness, said he had been confined for 35 days in a 6ft by 3ft cell and forced to soil himself because he had no access to a lavatory – a common torture in Syria.